All of the people in my family (except maybe Mr Mess) are huge Disney fans. Although we haven’t yet taken the girls to Disneyland (or World), I do think taking them to see Disney on Ice is a pretty good substitute. 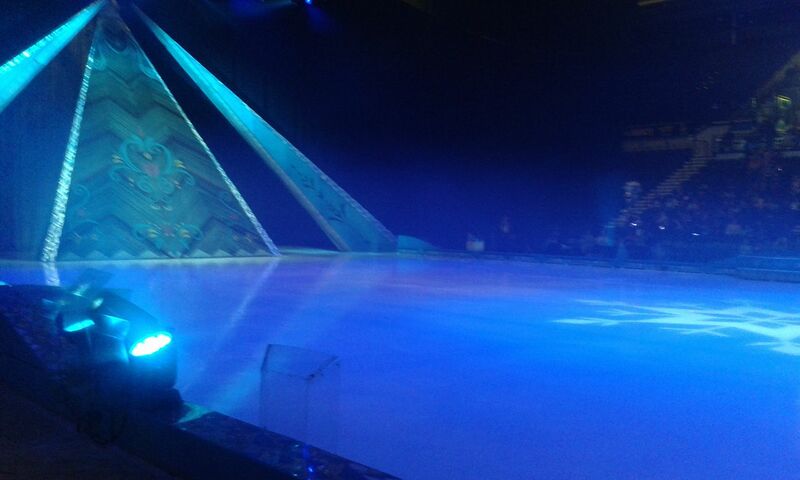 When I heard that this year’s show was Frozen on Ice I knew that we had to go. Both girls are Frozen crazy! I booked the tickets way back at the start of the year, and much to my family’s horror insisted on paying top whack for the front row seats, rinkside. The tickets come in at approx. £50 per person (no concessions) and although I admit that is a phenomenally large amount of money, and the show is just a good from seats further back, the experience of being this close to the action is worth every penny. I thought about writing that Disney on Ice was a cheaper alternative to going to one of the parks, but to be ones we probably spent as much as we would for one day in a park. Before you can sit down the kids want all of the various trappings – the candy floss, the slushy drinks, the programmes and the new cuddly toys. I know I spoil them terribly but that’s part of the fun for me and hey – they’re me kids, I’ll spoil them rotten if I want to! The show started with a strange little dance routine that had absolutely nothing to do with Frozen, but presumably was to fill time. Still, Miss Mess will take any opportunity to get up and dance. When the show started properly it was as spectacular as I had expected. The characters told the Frozen story in it’s entirety and featured all of the well-loved songs. See – I told you we were close! 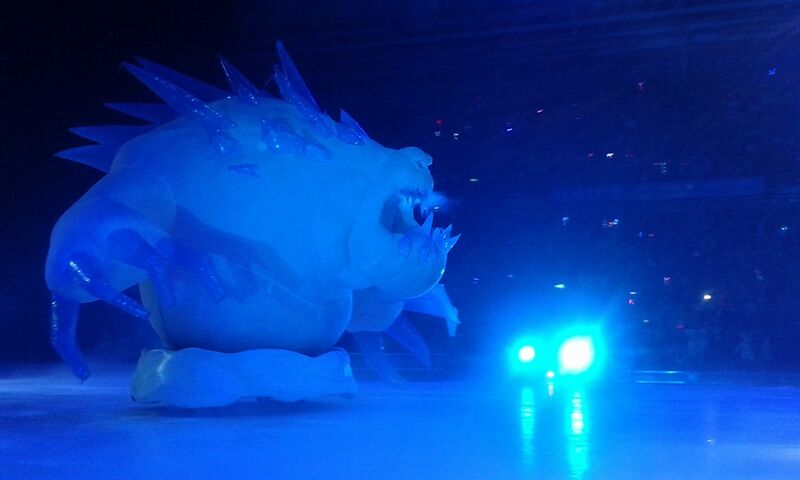 One of my favourite bits was when a the snow-giant Marshmallow appeared and chased the characters around the rink. The girls were in complete awe and even I had a little thrill, even though I knew it wasn’t real! The girls had a simply amazing time and were up on their feet, dancing, waving and singing along to their hearts’ content. All of the performers were brilliant – their faces were so animated. There were a few little slips which I’m assuming weren’t planned. At one point Kristoff seemed to fall out of a back flip – hope he didn’t hurt himself! 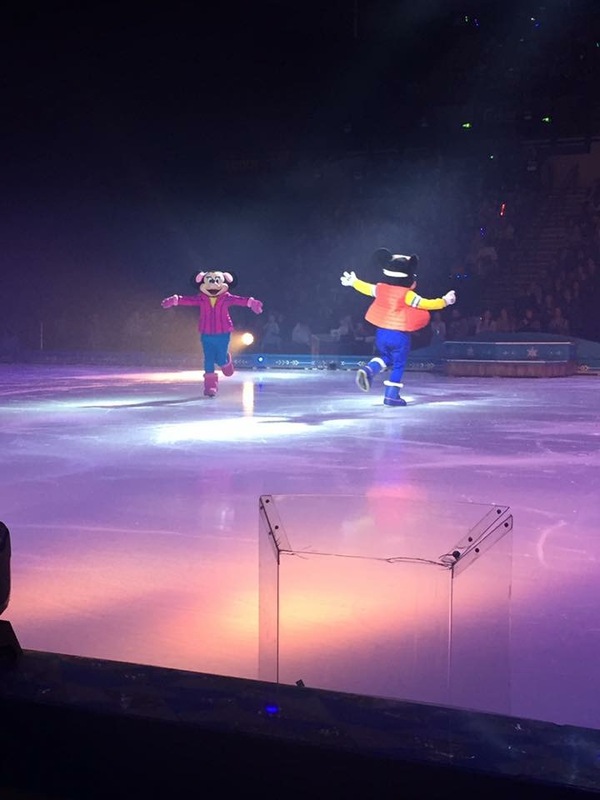 At the end of the show the Froze characters were joined by many other Disney classics including Cinderella and her prince, Woody and Bizz, Timon and Pumbaa and many more. 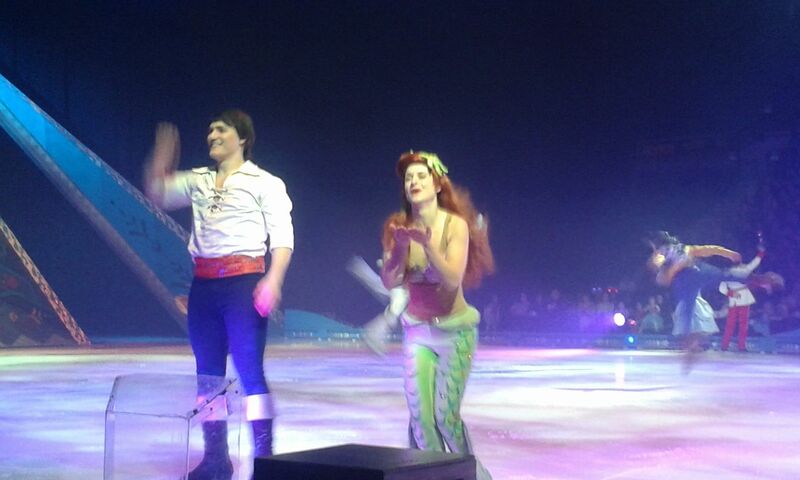 Below is the moment when Ariel blew a kiss directly at Poppy – I thought she was going to faint from excitement! It was a truly magical evening for all of the family – even my Dad was impressed. Next year is 100 years of magic so we may have to see if we can save up to go again. Maybe as birthday presents or something? Even with the expense I would definitely recommend getting front row seats. It really adds something a little extra. Although they sell like hot cakes so you have to move quickly. 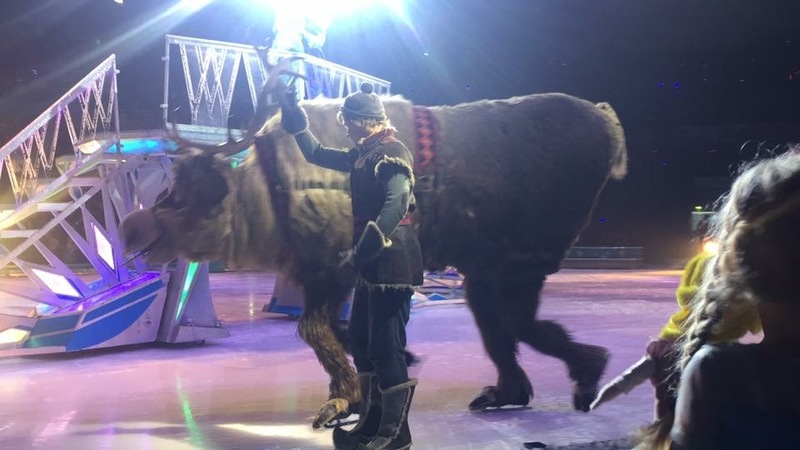 This entry was posted in Blogmas and tagged children, days out, disney on ice, elsa, frozen.